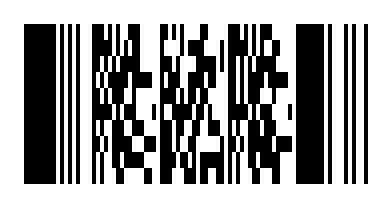 Stacked linear codes combine the structure of linear bar codes with the data capacity possible from 2D code structures. 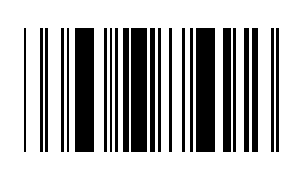 While not as space-efficient as 2D Matrix codes, stacked linear symbologies benefit from the self-clocking nature of linear bar codes in order to be “line-scannable”. Thus laser scanners or imaging based readers can read stacked linear symbologies. The most common stacked linear symbologies are PDF 417 (used commonly on driving licenses and shipping labels) and GS1 DataBar (which was formerly called the RSS symbology) used commonly on pharmaceutical products and widely distributed retail coupons. The TruCheck Rover is the lowest cost and most versatile verifier available for stacked linear bar codes. The TruCheck Optima can be used for these symbols as long as the symbol is small enough to fit within the field of view. The large field of view imager units (TruCheck Tower and TruCheck Omni) are also excellent choices for these symbols. In general, GS1 DataBar symbols which are used for product identification on pharmaceutical products or loose produce items can be read in either the TruCheck Rover or the TruCheck Optima.